element. You can even get a leg up on assuring your sites are accessible and use valid markup - all thanks to Firefox’s add-ons. Here are 10 free add-ons covering everything from DOM inspection to screenshots, making designing and developing with Firefox a breeze. The first on our list of 10 is actually 3 separate add-ons but they are all meant to work together, and when combined they form one of the most powerful development tools available. Install the Firecookie add-on and Firebug gets a new super-power: complete cookie viewing and management. You can view the full content of each cookie, and even edit and delete them all from Firebug’s window. Codeburner then rounds out the Firebug setup by adding a compete W3C reference lookup with search-as-you-type on HTML elements & attributes as well as CSS properties. Ever wonder which browsers support the text-transform CSS atrtribute? Codeburner will tell you that it’s buggy in IE7, but has full support in Firefox 3, Safari 3 and Opera 9. Ever need to know just how much space you have for a photo, or how wide a dynamically sized column is? 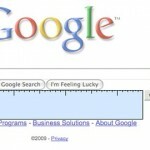 This handy little guy lets you measure, in pixels, any area on the page. Super simple and super helpful. Another very simple but very useful add-on that displays the RGB and HTML color codes directly beneath your cursor. With a click, Colorzilla will copy the HTML color code to your clipboard for use in your favorite editor. 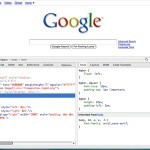 CSS Viewer takes one of the features in the Web Developer Toolbar and makes it a little easier. Just point your cursor at any element on the page and CSS Viewer will show you all of its CSS attributes, from size and position to fonts and colors, all in an easy to read overlay. If you use grid layouts or want to learn how, Gridfox is for you. 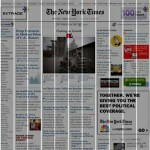 It displays a simple overlay on your page to help you align elements to both vertical and horizontal grid lines. You can easily set the column and row sizes and spacing, choose from left-aligned, right-aligned or centered layouts and set the opacity of the overlay. If you swap style sheets or display alternate content based on which browser the user is viewing your site with, this add-on will tell Firefox to pretend it is another browser. 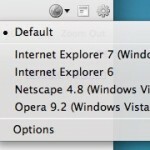 Choose from Opera, Internet Explorer, or add your own custom user-agents to the list. Those of you familiar with the linux/unix “diff” command will instantly understand what this add-on does. 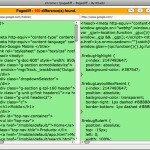 Compare the source code of any two pages and see where they differ. This is very useful when comparing staging and production environments, or comparing a backup to a current deployment before restoring any code. 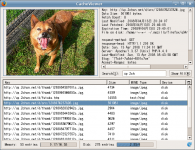 CacheView is a GUI Front-end of "about:cache" that allows searching,sorting and saveing memory and disk cache files. Very usefull when 1) You want to see what is in your cache and 2) Save things from memory or disk cache since firefox has a very cryptic way of storing it's cache. 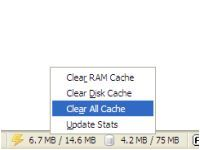 Cache Status is a customizable presence to your browser window's statusbar that gives you up-to-date information on your browser's cache usage, both RAM and the hard drive. The presence also has a right-click context menu, where you can easily clear your browser's cache. It can also automatically clean your cache when it reaches a specified level, through its Options.